Great defense is more than athleticism and footwork. Understand your opponents. Defense at the highest level is hard. Players are highly skilled and more athletic than ever, so turnovers are tough to cause. You as an individual defender need to do everything you can to gain every advantage possible to put yourself in the best position to make things harder for the offense. There are many things teams can do to put offenses in high risk situations—defensive strategies, physical positioning, and marking tricks can all help—but today I’m focusing on one of the most important elements of defense, knowing your opponent. It starts with the basics. At the beginning of every point, we match up according to height, speed, throwing ability, expected position, etc. Those things are important, but they’re just the foundation of understanding the opponent. The next step is to make sure the entire team understands how the opponent prefers to move the disc down the field. Know who is responsible for making significant throws and for making significant catches. A well-schooled defense knows they can’t stop a good offense every time, but they have already identified which passes and patterns they can consistently take away. Typical strategies against prominent throwers are to shift the mark to take certain options away and clog the throwing lanes with near disc poaches. Downfield, help on the most dynamic cutter, and force the least skilled throwers to come in for the disc. These simple tactics, when executed throughout a point (and a game), can cause the best players to get frustrated and force plays. It will also wear on the role players you are forcing to play outside of their role to crack under the continuous pressure. The key point, though, is that your team needs to consistently execute the strategy: that puts the onus on the individual defenders to know the opponents. That is the part of knowing your opponent which takes a defender from solid to excellent. Every time a pass is completed, the threat level changes based on the position of the disc on the field and who the thrower is. The threat of the thrower, or lack thereof, should impact the way you play defense. In order to take advantage of the information, you need to have done two things. In tournament play, it’s hard, but instead of heading over to the merch tent during your bye, sit and watch your future opponents. Learn their tendencies, understand who makes the majority of throws of consequence (and understand who doesn’t). This will help with downfield positioning but can also help on the mark. Players usually have go-to moves to break the mark. Learn them and take them away. In addition, if you are covering a handler that loves to huck it, work hard to not let them catch an upline reset in a power position, and shade over on the mark to pressure upfield throws. You have to be in position downfield to see both the disc and your mark. Triangulating is something my fifth grade basketball coach drilled into my head. “See the man, see the ball!” he’d scream during practices. This concept is important in basketball, but even more important in ultimate. In ultimate, seeing both not only gives you a jump on any throw that goes up but also allows you to react based on your knowledge of the thrower. Perhaps most importantly, seeing both allows you to recognize who is about to be the thrower, which impacts your defensive positions as your cutter begins to engage the play. If it’s not a deep thrower, for example, you triangulate by shifting to take away the under and put yourself in perfect position to take away the desired pattern of the cutter as the thrower looks upfield. That’s a win! You’ve stopped the next cut and put the lesser thrower in tough situation as the stall rises past five or six. The more high-stall situations you create, the more turnovers you will generate. Finally, knowing your opponent is a team effort. Even the best defenders are forced into chase mode sometimes and aren’t able to properly see the disc. Heckling “not a thrower” is lame, but it is smart to give the sideline a call that lets defenders know a thrower is about to catch the disc. The key is to makes sure that all your players know the throwers you’ve identified so the information can be communicated correctly from the sideline. Knowing your opponent takes your defense to the next level. Do the work before the game to create a game plan that forces your opponent to go to their second or third options in order to move the disc down the field. Challenge the individuals on your D-line to learn the roles and tendencies of your opponent. The proper preparation will take your defense to the next level. 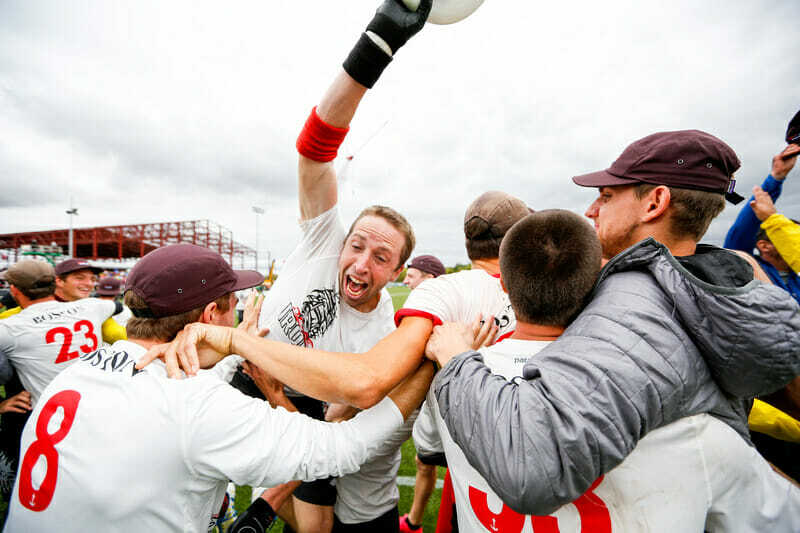 Jeff Graham has been a leader in the Boston ultimate community for nearly two decades. 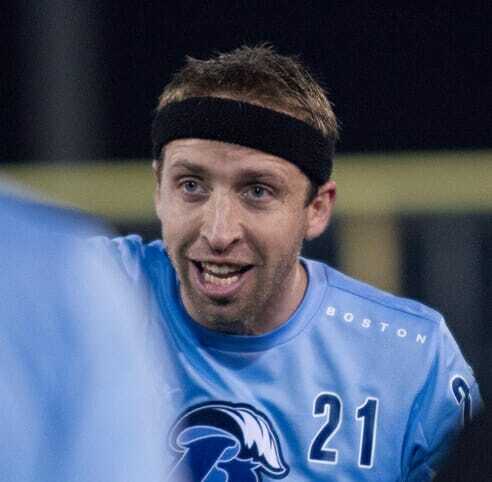 He has played with Twisted Metal, The Ghosts, Boston Whitecaps, and Ironside, who he helped lead to a 2016 Club Championship. Comments on "Tuesday Tips: The Importance Of Knowing Your Opponent, Presented By Spin Ultimate"